El Tepehuan has a long, rich history. Jose immigrated to the U.S. from Sinaloa, Mexico in the 1950s and worked very hard to save up money to achieve his dream and open his own business. With barely a penny left in his pocket, Jose launched his first restaurant El Tep in 1978. For several years Jose dished out delicious and flavorful Mexican food to happy patrons from all over the Denver Metro area. To Jose, El Tep was more than just about food it was about family. He treated each and every customer like a welcome guest in his home. He even named our famous Bob Burrito after a loyal customer! When Jose passed away, his wife Graciela took over and continued his legacy of delivering the most perfectly seasoned and spicy Mexican cuisine in all of Denver, turning the little El Tep into the best kept secret in town! Graciela also continued to meet customers with a friendly, shy smile to make them feel welcome, seeing everyone as her own children. Now called El Tepehuan Mexican Restaurant, we continue our proud tradition of family and quality into the new millennium. Jose’s son Miguel and Graciela are working on expanding into a new and bigger location and will continue to deliver the best Mexican food in Denver just as we have for nearly 40 years! 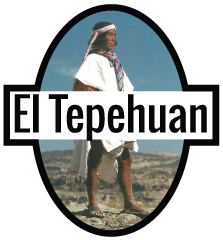 El Tep is short for El Tepehuan. In the Aztec language, Nahuatl, tepehuan means mountain dwellers. The Tepehaun are a proud indigenous people living in Northern Mexico, predominantly in Durango, Chihuahua, and Sinaloa. EL Tepehuan has been our name for nearly forty years, some people struggle with the pronunciation and instead, many loyal customers affectionately refer to us as El Tep. Since nicknames are a proud characteristic of Mexican culture we have proudly embraced the nickname our customers gave us!